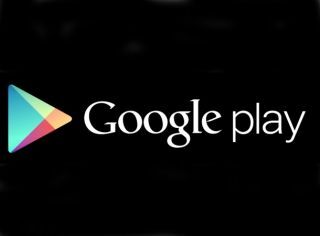 Google has ditched the Android Market moniker and announced a new all-in-one portal for apps, music, books and movies called Google Play. The shock decision to abandon the Android Market name, which has been part of the Android ecosystem since day one, comes as Google laments the performance of some digital media properties. From today, the Android Market will now be known as Play Store, while Books, Music and Movies have been renamed Play Books, Play Music and Play Movies. Your Android Market application on your phone or tablet will be updated with a Google Play Store icon within the next few days (for those on Android 2.2 and above), while the web portals are already live. Google director of digital content Jamie Rosenberg said in a blog post: "Starting today, Android Market, Google Music and the Google eBookstore will become part of Google Play. "On your Android phone or tablet, we'll be upgrading the Android Market app to the Google Play Store app over the coming days. Your videos, books and music apps (in countries where they are available) will also be upgraded to Google Play Movies, Google Play Books and Google Play Music apps. "The music, movies, books and apps you've purchased will continue to be available to you through Google Play - simply log in with your Google account like always." Google hopes that the re-branded store will help boost revenues and challenge Apple's iTunes which boasts the App Store, Music, Movies, iBooks and more, largely under the same banner. However, the death of the Android Market, such a staple of our daily experience with Android, is certainly the end of an era and a bold move from Google, proving it is not afraid to shake things up.